Zynga CCO, Mike Verdu, is leaving to start up his own studio. Zynga's chief creative officer (okay, go to the comments section and get it out of your system) has announced that he's leaving the company, effective immediately. Verdu stresses that his departure, which closely follows that of chief operating officer, John Schappert, has nothing to do with the array of lawsuits, fiscal woes and accusations of insider trading the company is facing. He's actually just keen on making his own games. "I personally don't want to add to the noise level," he said. "I think this will be a good thing for me and for Zynga. I'm concerned about how this might be viewed with what else is going on, but it's not a function of anything else going on at the company." While their relationship may be over, Verdu and his former employer are staying in the friend zone; Zynga is investing in the unnamed startup studio and will be publishing its games. "I represented the creatives at the senior management level and I was always careful to make sure their voices were heard," he added, "so when the company made the decision about products, I made sure the creatives had a role. It can be a delicate balancing act, given the company's metrics-driven approach." Verdu is following in the footsteps of Erik Bethke, Jeremy Strauser and Alan Patmore, all of whom have left the company following - but not necessarily because of - its financial troubles. 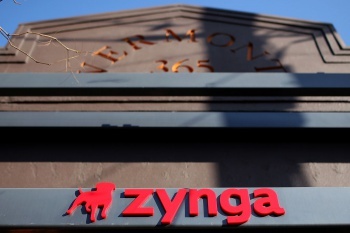 According to a previous report from AllThingsD, morale at Zynga's headquarters is at an all-time low. Long hours and a stressful working environment no longer seem appealing to the workforce as the stock options management has offered them depreciate by the day. Sources at other companies have reported a "flood of resumes" from Zynga staff, indicating that it isn't just the company's upper management that smells smoke.